Our training philosophy is based around functional training, that is right for the individual concerned. 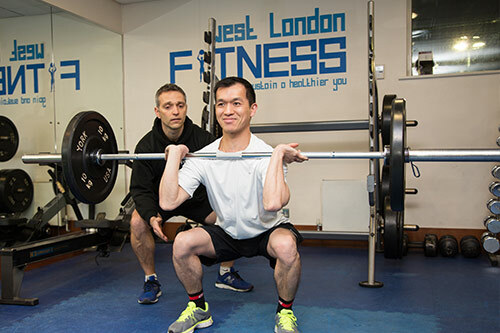 Not one type of training plan works for everybody so it is the job of West London Fitness to set you on the path that works best for your body. We understand you would like to see how it all works which is why we offer a free 1 hour consultation which includes a taster session in the studio. What kind of people opt for Personal Training? Anyone, it could be that people are looking to lose weight or combat obesity, or perhaps having to change lifestyle due to a health problem such as diabetes or High Blood pressure. We often train people with lower back pain or those needing guidance after recovering from an injury. Some clients train for a goal such as London Marathon, cycle trip, skiing, mud run or a specific sport. Karl is a professional rugby player so is experienced in taking people to the next level in their chosen sport. Personal training is also really beneficial for those lacking motivation to stay fit, who perhaps needs a bit of encouragement. Why would I benefit from personal training sessions? 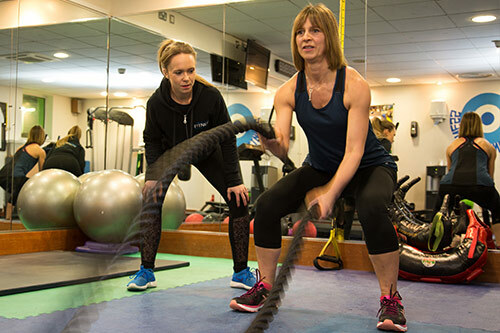 Whether you’re seeing us 1-3 times per week or once a fortnight we find that our clients enjoy the routine of having a personal trainer in their lives so they can keep a regular check on their body fat, BMI and fitness levels as well as keeping their workouts fresh and challenging. We’ll also help keep an eye on your nutrition because you need to ‘row with both oars’. Life can be turbulent and throw up different challenges but if you are able to keep in a regular routine with your exercise at least it takes one pressure off your shoulders. Exercise is also a great way to de-stress and the biochemical processes that take places in the body mean you feel happier and lifted after a good workout! All our sessions are bespoke and appropriate for our client’s needs. With a range of cardio equipment available we also make use of the versatile duel hi-lo pulley, squat rack, kettle bells, TRX, ViPrs, battle rope, Bulgarian bags, Slam balls, Wall Balls and Free weights. Not only is our training tailored to your needs we make sure it is fun. 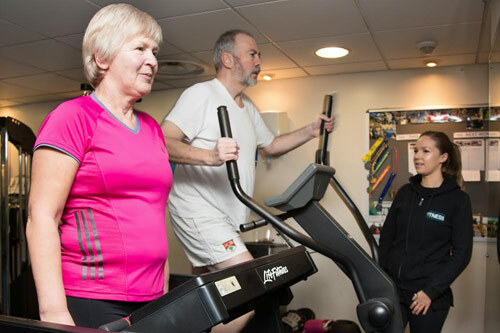 We pride ourselves on the great atmosphere in the studio, no pretence just good people wanting to be more active, improve themselves and delighted to see others reach their goals. I’m not sure I’m fit enough to start? This is a common question, but the beauty of our Personal Training Studio is that we can cater for all levels of fitness. We pride ourselves on the friendly atmosphere in the gym where all of our clients support each other in their goals and enjoy the challenge of being fit and healthy. There are no egos at West London Fitness, they’re not allowed! 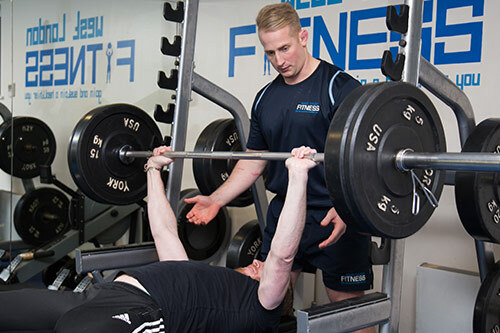 Where do you offer Personal Training? 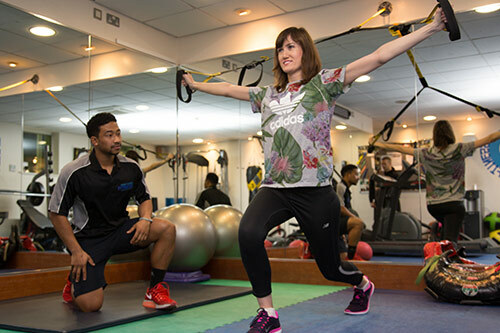 We offer personal training in Ealing, West Ealing, Hanwell, Greenford, Pitshanger, and surrounding areas. We have a studio at Trailfinders Sports Club in West Ealing. The home of Ealing Trailfinders Rugby Club and the London Broncos. Free Parking is available on site.